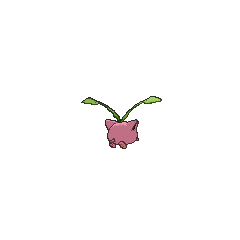 Hoppip in game: 2,992 Who? Important notice! 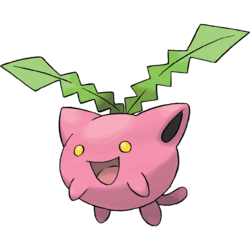 Pokemon Hoppip is a fictional character of humans. Hoppip made its anime debut in Foul Weather Friends, in which a Trainer named Mariah used several of them to predict the weather. Multiple Hoppip were among the feuding Pokémon at Professor Oak's Laboratory in Bulbasaur... the Ambassador!. A Hoppip was one of the Pokémon seen at the Pokémon Swap Meet in Tricks of the Trade. 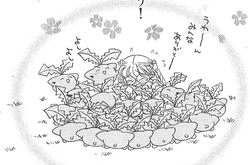 A Hoppip appeared in Beauty and the Breeder where it participated in a Pokémon breeding competition. Many Hoppip appeared in Pikachu and Pichu. Three Hoppip appeared in The Grass Route. Two of them belonged to Ephraim's parents and the other one belonged to an unnamed competitor participating in the Grass Tournament. Eight Hoppip competed alongside their Trainer in a balloon race in The Big Balloon Blow-Up. A Hoppip appeared in A Tyrogue Full of Trouble where it received an apple from a Tyrogue. Four Hoppip were seen in the wild in The Legend of Thunder!. Several Hoppip were among the inhabitants of the Dragon Holy Land in Fangs for Nothin'. A Hoppip was used by one of the students of the Pokémon Trainer's School in Gonna Rule The School!. A Trainer's Hoppip appeared in Off the Unbeaten Path participating in the Pokémon Orienteering. Hoppip also appeared in Pokémon Ranger and the Kidnapped Riolu! Part One. Multiple Hoppip made a brief appearance in Coming Full-Festival Circle!. Hoppip has made cameo appearances in A Blustery Santalune Gym Battle!, Clemont's Got a Secret!, Awakening the Sleeping Giant, Going for the Gold!, A Battle by Any Other Name!, The Bonds of Evolution! and A Fashionable Battle!. 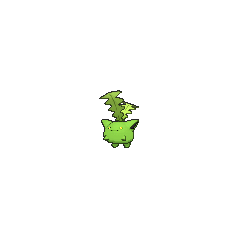 A Hoppip appeared in a flashback/fantasy in The Forest Champion!. Multiple Hoppip appeared in the opening of Diancie and the Cocoon of Destruction. A Hoppip appeared in the book Bonnie was reading in The Clumsy Crier Quiets the Chaos!. A Trainer's Hoppip appeared in A Relay in the Sky!. A Hoppip appeared in Ecruteak City in The Reawakening. In Magical Pokémon Journey, Cashew takes care of 26 Hoppip, who believe her to be their mother. Each of the Hoppip's name begins with a different letter in the alphabet. Hoppip debuted in Murkrow Row when Gold helped Joey get his bag back, one was seen as one of the Pokémon in the bag. Cyrstal captured a Hoppip on her way to Professor Elm's Lab in Three Cheers for Chikorita. In Absolutely Azumarill, a Hoppip was seen as one of the common Pokémon which Crystal fails to catch. Orm uses an octet of Hoppip to lift him up in a basket for flight transport. A Hoppip is seen with a pair of honeymooners in Santalune City in the X & Y chapter. A Hoppip made a cameo appearance as a Pokémon Celio keeps in his house. In the Pokémon Stadium 2 stage, a Hoppip can be seen drifting on the Flying Terrain. Other guest Pokémon found in the Flying Terrain include a Skarmory and a Drifloonfloating in the distance. 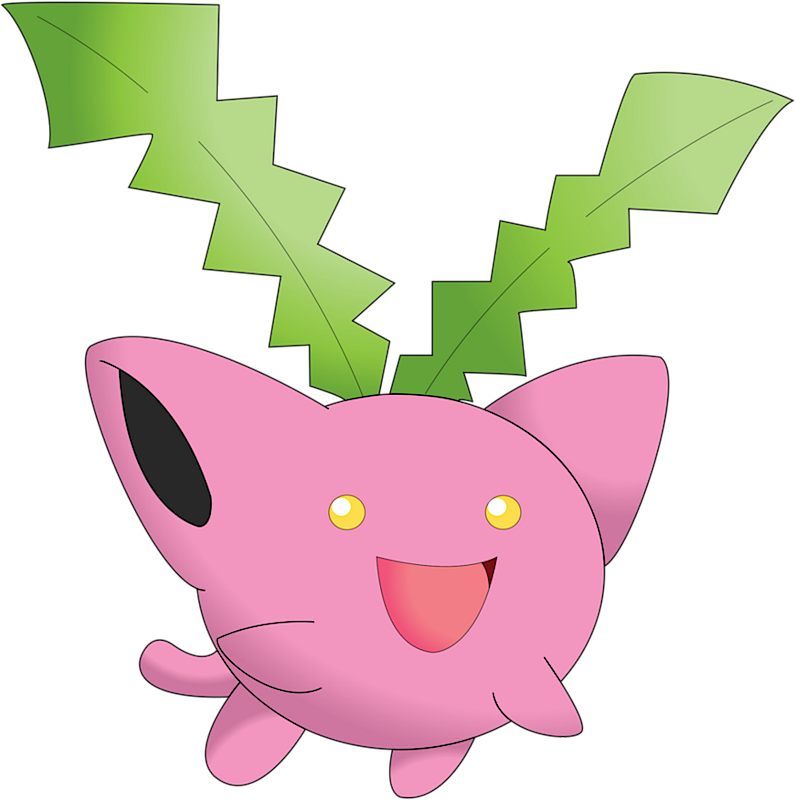 Hoppip is both the lightest Grass-type and the lightest Flying-type Pokémon. Hanecco may be any combination of 葉 ha (leaf), 跳ねる haneru (to jump or hop), or 羽 hane (wing), and 根っ子 nekko (root).